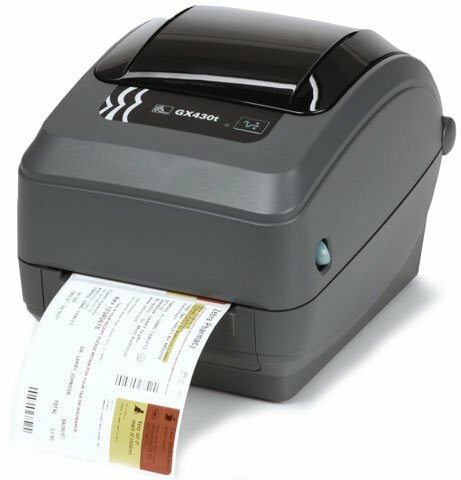 Zebra GX430t - Thermal transfer printing, 305 dpi, 4" print width, Serial, USB, Parallel interfaces, Dispenser. Includes Brazilian power cord and USB cable. 1.5" x 0.5" Thermal transfer polypropylene label. 3,780 labels/roll, single roll. Also available as a case (Part# 18930). The Zebra GX43-1025A1-000 is also known as ZEB-GX43-1025A1-000	or GX431025A1000	.